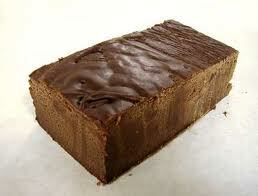 Fudge...that magical treat...how I love thee! I used to use the recipe on the back of the Marshmallow Creme jar....boiling and stirring for TEN minutes to allow the mixture to get to the proper temperature. One of my canyon friends shared a recipe a while back that was super easy...and not overly sugary...just the way I like! Official directions: Put all ingredients in your favorite saucepan and heat slowly just until combined. Pour into a greased 8X8 pan and place in the refrigerator for two hours. Toni's directions: Put all ingredients into a glass dish and microwave in minute intervals until just combined. Pour into a greased 8X8 pan and place in the refrigerator for two hours. PS: If you prefer a more sugary taste, just switch the proportions on the semi-sweet and milk chocolate chips...same process. PPS: If you're one of those nutty people, go ahead and throw in a handful of nuts. Serendipity! I made the marshmallow creme fudge last week as I was thinking of using it for gifts this Christmas but found it to be way too sweet. It was eaten of course as no food goes to waste with three boys around but one piece would put the recipient into a diabetic coma. I'm going to try this recipe. THANKS!